Charlene had it all, at least by society's standards... the lifestyle of a baller's girl, the man of her dreams and two beautiful children. Charlene would do anything to maintain her family's status in the hood, including transporting drugs from city to city for her man. But when the Feds catch her at the airport on her way to deliver a shipment, Charlene finds herself doing time at the federal camp in Kentucky. Locked away from her children and the man she decided to take the case for, Charlene experiences a side of the prison life that threatens her very existence. Coupled with the fact that things at home aren't what they once were, Charlene is on the verge of trying to maintain her sanity. Taedra is every lesbian woman's dream on the inside. Fully confident in her sexuality makes Taedra a prime catch in prison. No sooner than her feet hit the grounds, the sharks start circling and Taedra fights not to fall into a trap that could cost her what she worked so hard to build on the outside, her relationship with the love of her life, Kelly. With temptation lurking at every turn, will Taedra have what it takes to maintain her loyalty or will she lose it all? Melody has had it rough. 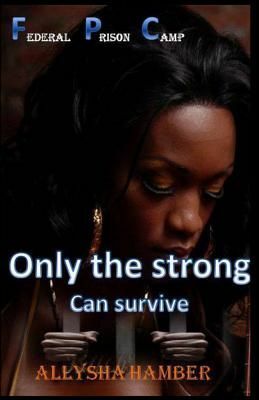 Coming up with a drug addicted mother, Melody found out the hard way that using her body to survive was her only option. That was until she was presented with the opportunity of a lifetime to make more money than she ever dreamed of. Unfortunately when the plan goes south, Melody finds herself in the custody of the Bureau of Prisons, serving time. Just as she thinks the time couldn't get any longer, along comes a love interest... one forbidden but addictive. Melody will do anything in her power to hold onto it but learns along the way that everything that glitters ain't gold... and what's forbidden, is forbidden for a reason.